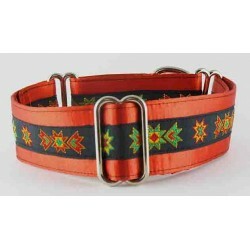 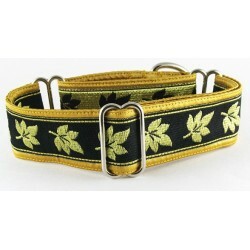 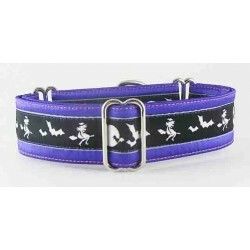 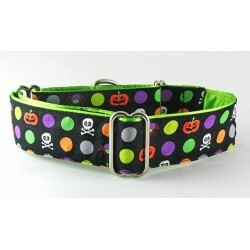 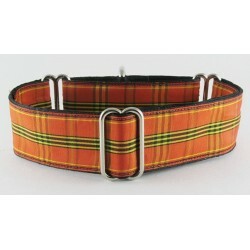 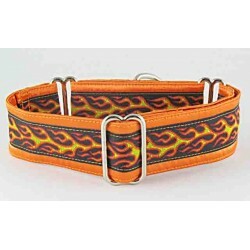 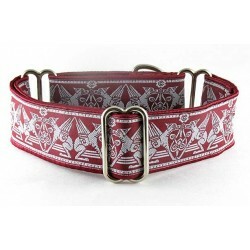 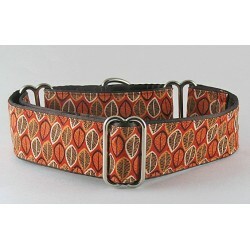 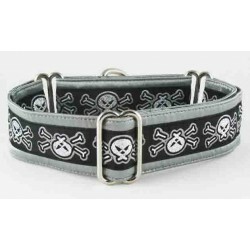 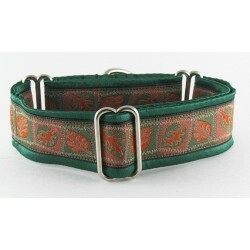 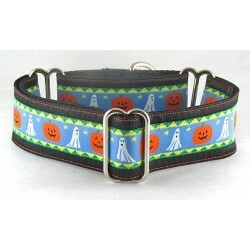 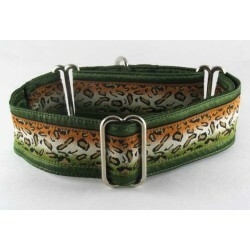 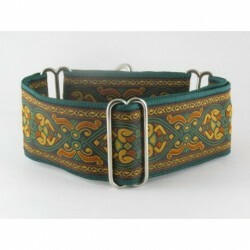 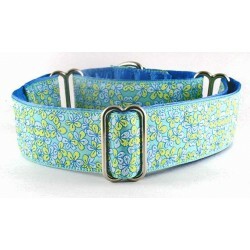 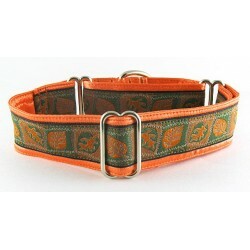 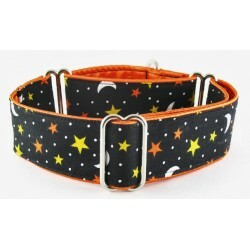 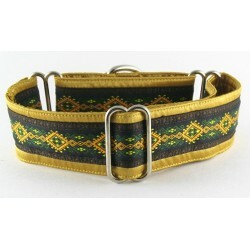 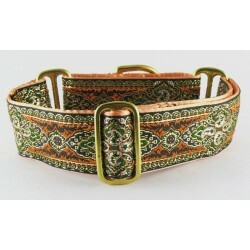 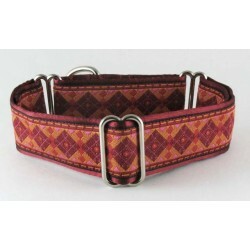 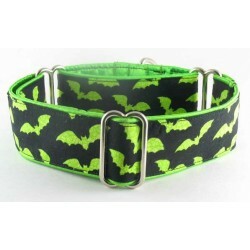 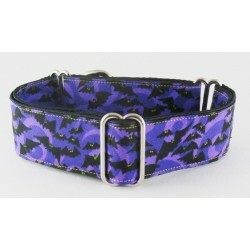 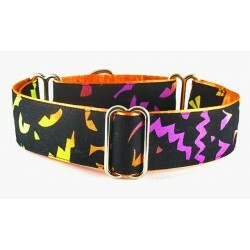 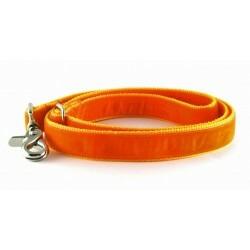 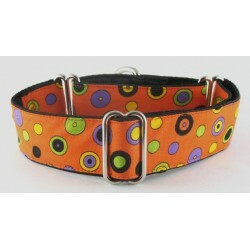 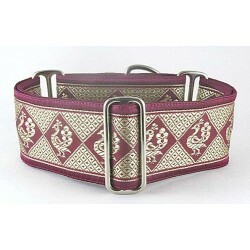 Harvest Daisy martingale or snap-release buckle dog collar decorated with a floral inspired theme in fall colors. 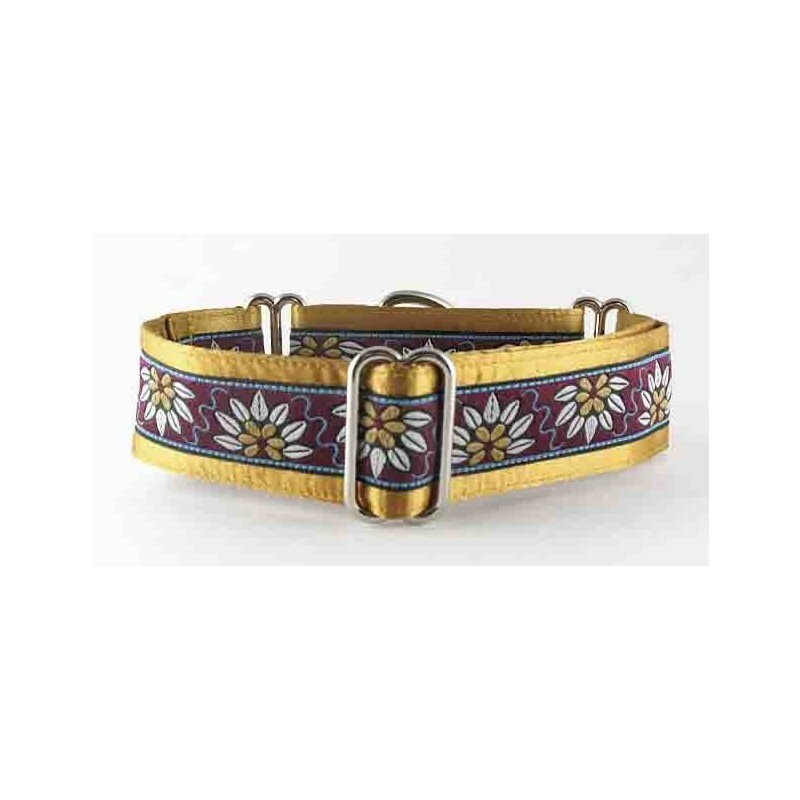 Harvest Daisy - If you love a Floral theme for your girl this is a great collar for the autumn months. 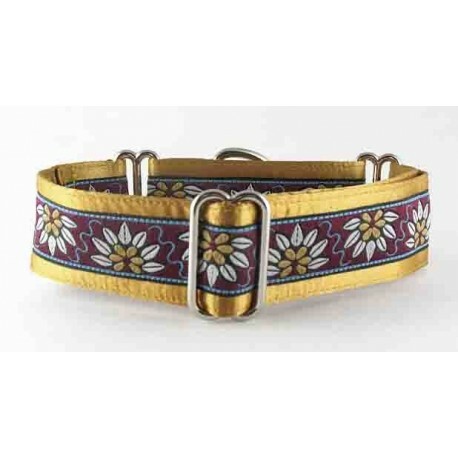 Shades of maroon, gold, white and a touch of blue-gray combine in the most wonderful way! 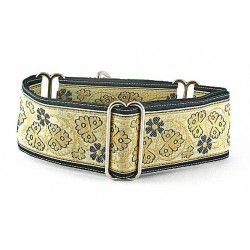 A gold satin lining will please your pooch to no end! 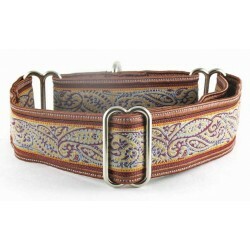 Silver hardware is standard.